Pure white bristle plus row on back. 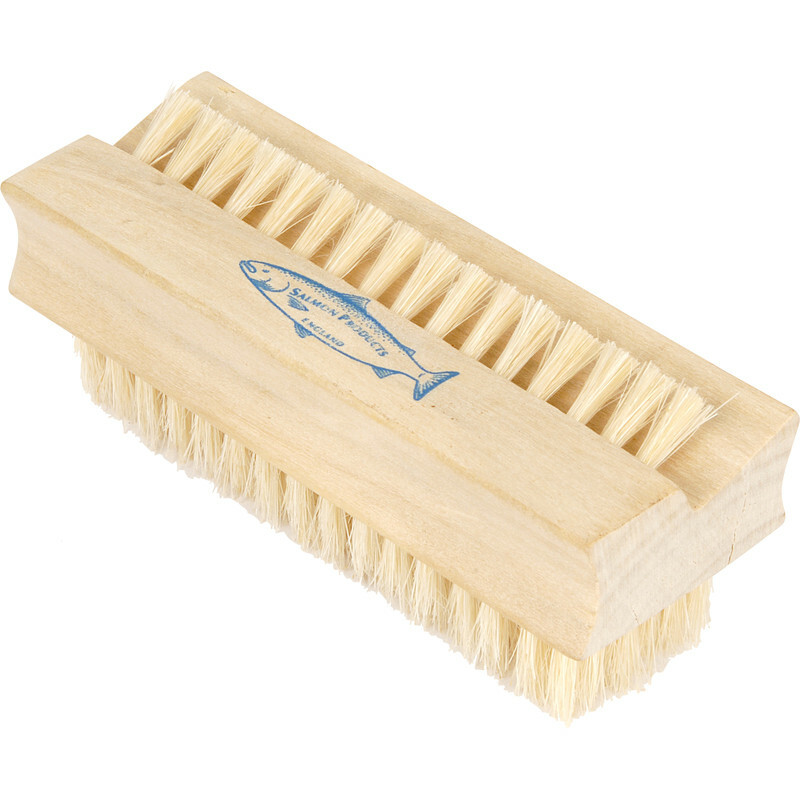 Wooden Nail Brush 102mm is rated 3.3 out of 5 by 9. Rated 1 out of 5 by Geronimo from No Good The nail brush supplied was a different design from the online picture and no good. Had to take it back to get a refund. Pain. Rated 5 out of 5 by Beesleg from Nail Brushes, for brushing nails. Do what they say, but actually also quite retro to look at and more attractive than plastic alternatives. Rated 4 out of 5 by Jesse O from Good value Bought to replace an old brush that had seen better days. Was initially worried it was too soft but has proven better than I thought it would at cleaning my hands. Rated 5 out of 5 by Dickie B42 from Just right Perfect soft bristles not stiff nylon like all the rest. Rated 3 out of 5 by Mr Chips from Too soft The bristles are too soft to be an effective nail brush. Ok for gentle hand scrubbing.